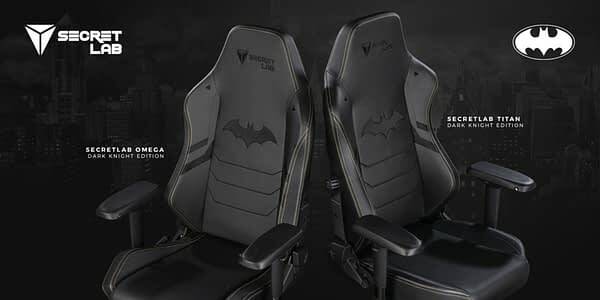 Warner Bros. has partnered up with Secretlabl to produce a special 80th Anniversary Dark Knight gaming chair dedicated to the one and only Batman. The company has made these special chairs with the Batman logo embroidered in them that look like something Bruce Wayne might install in the Batcave, or at the very least his own setup. You can currently pre-order them in the Omega and Titan models, which you can currently pre-order on their website. We have a quote on the partnership below from the co-founder and CEO of Secretlab, Ian Alexander Ang.